Mary Gertrude Elliott (or Dermot), an American-born actress, first appeared on stage in 1894 when she was twenty. 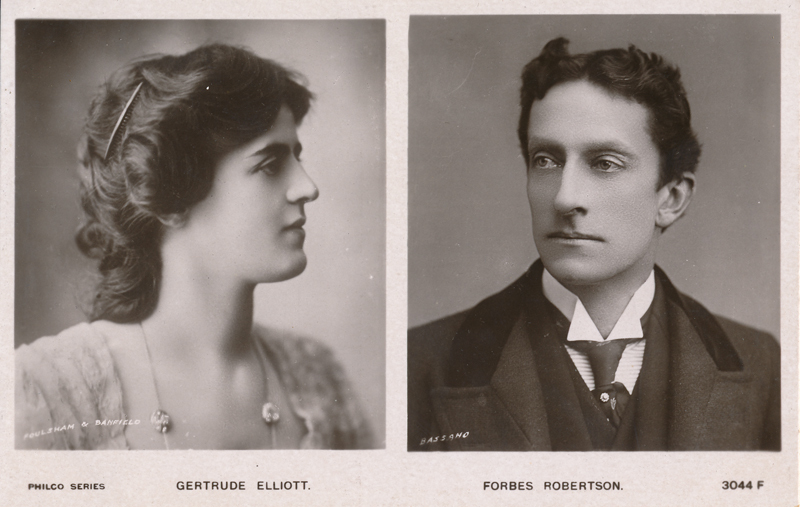 In 1899, she joined Nat Goodwin’s English company, where she met and a year later married the noted Shakespearean actor Sir Johnston Forbes-Robertson. From that time on she toured with her husband as his leading lady in many of Shakespeare’s plays, notably Hamlet, The Merchant of Venice, and Bernard Shaw’s Caesar & Cleopatra. In 1908, her sister, Maxine, also a famous actress, built her own theater in New York on 39th Street near Times Square—the first woman to accomplish such a feat in New York. 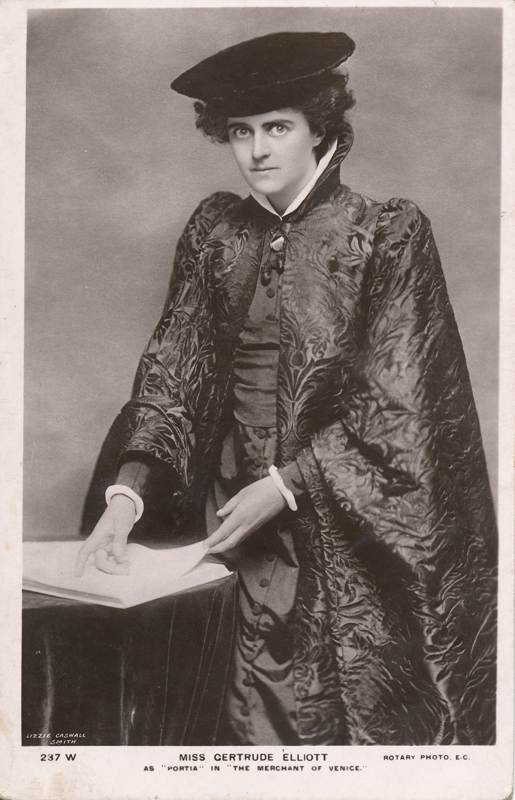 Elliott last appeared with Forbes-Robertson at the Drury Lane Theatre, London, in his 1913 farewell performance. In 1918, Elliott began managing her own acting company and toured the world, specifically South Africa and Australia, thereby launching the career of her daughter Jean. Her last notable performance was as Gertrude in Leslie Howard’s 1936 production of Hamlet at the Imperial Theatre in New York City.